Join our team of volunteers today for a fun, interesting and rewarding experience. 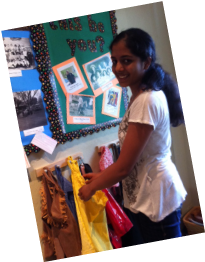 Make a difference in our community by becoming a volunteer at Museum on Main! Greeter: Greeters help us welcome visitors to the museum on weekdays and weekends while the museum is open to the public. 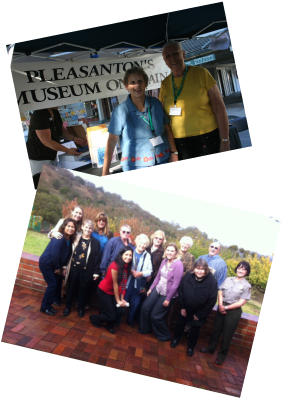 Volunteer greeter and docent shifts are available 10:00 am to 1:00 pm, Tuesday through Saturday and Sunday from 1:00 pm to 4:00 pm. Office Volunteer: Office volunteers assist weekdays on Tuesday through Friday from 10:00 am to 1:00 pm and from 1:00 pm to 4:00 pm. Office volunteers also also serve as greeters while answering phones, helping out with various computer tasks, helping with mailings and other projects. Educational Volunteer &Tour Guide: Tour guides are trained to lead tours on a variety of topics including The Local History Gallery, Downtown Walking Tour, or for special exhibits or programs, like Ghost Walk. Archives & Collections: Interested in collecting data, historical research, old photographs and collectibles? Then perhaps you would like to volunteer to help in our archive and collection department. Volunteers also assist visitors with visitor research. Special Events: Special projects at Museum On Main can cover a wide variety of areas. We often need help with various programs such as tour guides & speakers for our Ghost Walk, activity docents to help with family activities, help with membership drives, new exhibit openings, preview parties and other activities. If you are unable to volunteer on a regular weekly or monthly basis, perhaps, helping with a special event is more for you. Historical Performer: Do you enjoy acting? Would you like to dress in your own costume of the early 1900s and take on the persona of someone living at that time? Volunteers may act as historical performers at various educational programs and events. NOTE: The Museum on Main volunteer program is often impacted. We will contact applicants when positions become available that suit the individuals skills and availability.